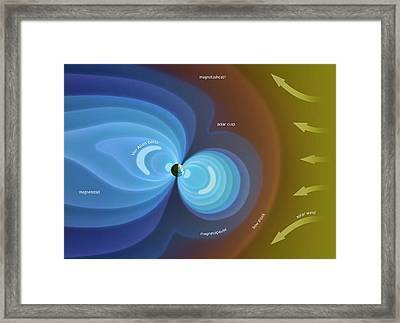 Artwork Of Earth's Magnetosphere is a photograph by Mark Garlick which was uploaded on July 24th, 2016. 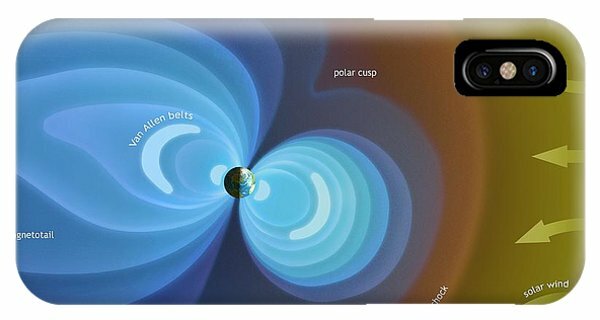 Artwork of an active galactic nucleus, or AGN. Many, perhaps most large galaxies, are thought to harbour Earth's magnetosphere. 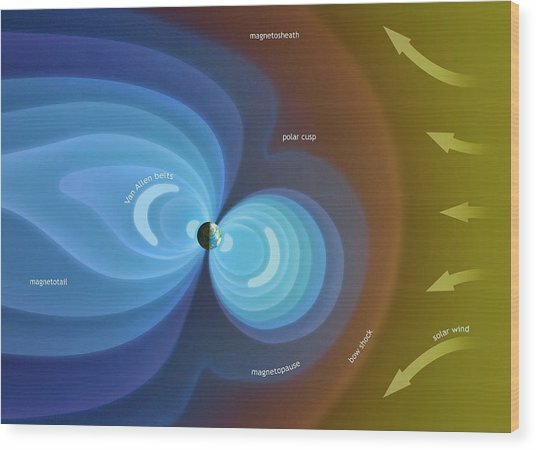 Computer artwork showing the interaction of the solar wind with Earth's magnetic field (not to scale). 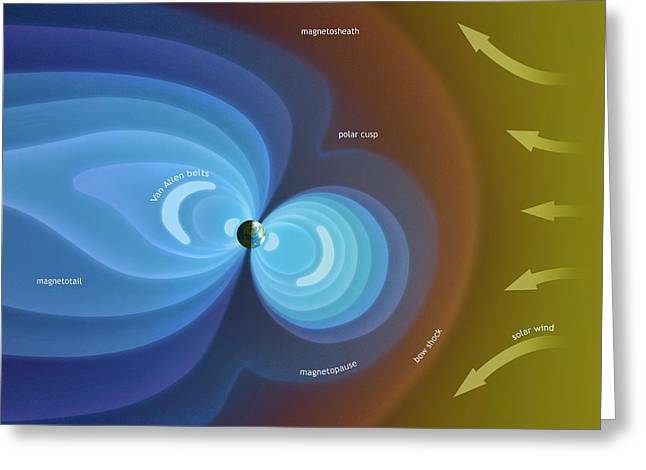 The solar wind is made up of charged particles emitted by the Sun. The Earth's magnetic field deflects these particles, forming a wake-like pattern of field lines that is compressed on the sunward side and trails over a million kilometres away from the Sun on the other side of the Earth - the so-called magnetotail. 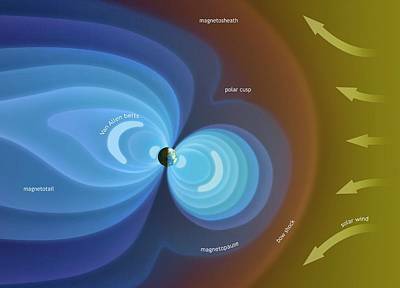 There are no comments for Artwork Of Earth's Magnetosphere. Click here to post the first comment.